Mike Colter Says Marvel Canceled Luke Cage? Star of Marvel's Luke Cage, Mike Colter, has probably been the most honest or at the least forthcoming person surrounding the cancellation of the Marvel Netflix shows. While various actors and creators have said it came as a big surprise, Mike Colter previously said it wasn't a surprise, and now he says a rather interesting statement about the cancellation. “I have no clue, because it’s one of those things that didn’t happen for any other reason than the powers that be deciding that it was something that they wanted to take back into another platform," Colter told IndieWire. Colter didn't go into further details, but it almost sounds as if Marvel was the one who canceled the shows (or Disney) as he says, "...it was something that they wanted to take back into another platform." Colter also seems to be saying the cancellation didn't have anything to do with viewership numbers as well as he says, "...didn’t happen for any other reason." Certainly, Netflix wouldn't want to take the shows "back into another platform," so we can assume Mike Colter is referring to Disney, who has a stake in the Hulu streaming service platform and who is releasing a new platform of their own with Disney Plus later this year. Interestingly enough, following the cancellation of Daredevil, Collider claimed it was Marvel who actually canceled the shows and not Netflix, which fits with Colter's statement above. The interview with Mike Colter further reveals that the series and characters are locked up with Netflix for two years to come, but he is remaining optimistic about a potential return. “Whether it comes back, I don’t know,” Colter said. “I’ll be around, but until then, I’ll be working on other cool things like this,” he said, referring to the family drama, Before You Know It. 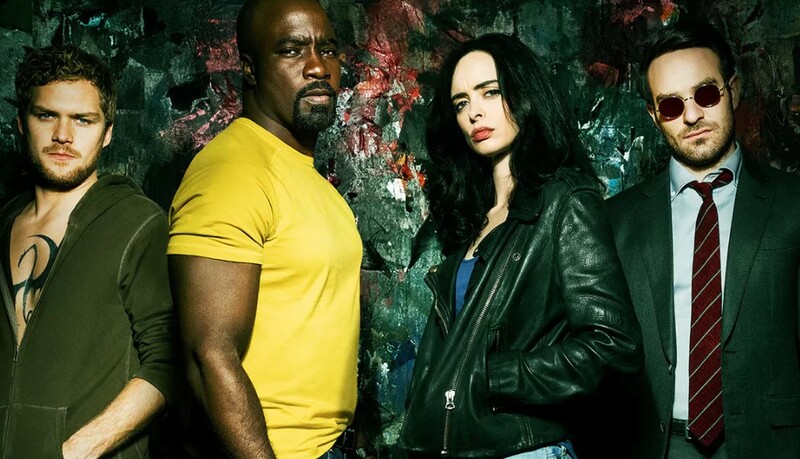 It's possible that Disney may have wanted the Marvel TV shows canceled on Netflix, which also includes Defenders, Iron Fist, Punisher and Jessica Jones, as Marvel Studios (separate from Marvel TV) is launching their own shows on the Disney Plus app. Disney may have canceled the Netflix shows so they don't compete with their own Marvel Studios shows. Per Colter's comments, it could also be possible that Disney plans on rebooting the characters in two years time as well.